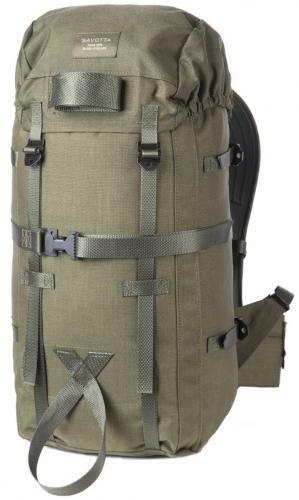 An unbeliveable piece from the 21st century military backpack front - the Savotta "Light Border Patrol" is an outstanding design: simple, yet not stupid, versatile, but not complicated and above all practically bombproof, these things are made to military specs right here in Finland! External measurements approx 55 x 27 x 20 cm, volume roughly 30 litres. 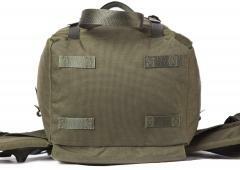 Large main compartment, closes with a tight lid and drawcord collar. 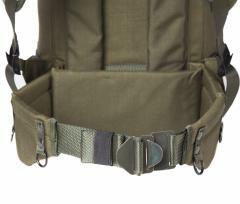 The main compartment is also accessible from the side through a long zipper, making pulling out those little trinkets quickly so much easier! On top of the flap is a zipper pouch for valuables etc. 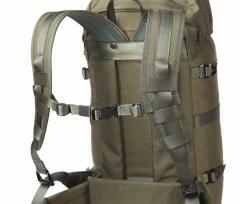 Side compression straps, compresses the pack to a neat package when half full. 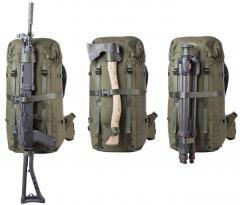 Attachment points and securing strap for a rifle or other long items. Attachment points for utility sraps on the bottom. 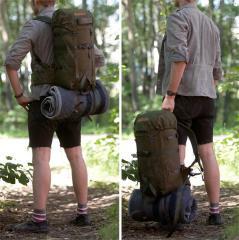 Excellent way to carry a sleeping mat or bag. 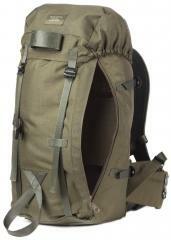 Very comfortable, firmly padded back. A removeable plastic back support panel. 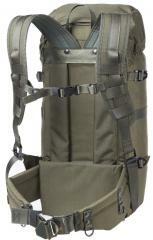 The back support panel compartment can also be used for a hydration bladder! 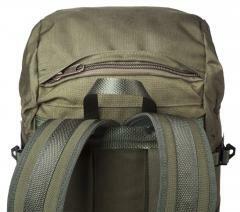 Anatomic shoulder straps with removeable sternum strap. Excellent padded hip belt with attachment points for little trinkets. 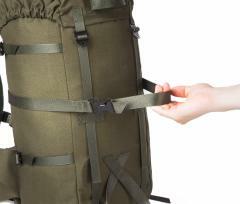 The belt can be folded away if not needed. 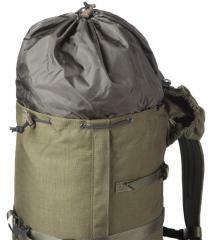 The fabric is the same 1000 Denier Cordura used to make Finnish military gear, some of the toughest stuff available! The construction and attention to detail is top-notch, a show of real professional workmanship!